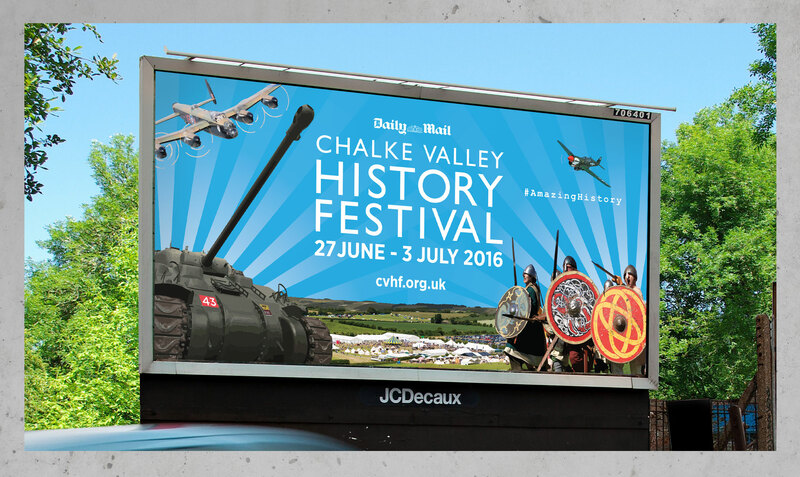 Design and artwork for programme and billboards. 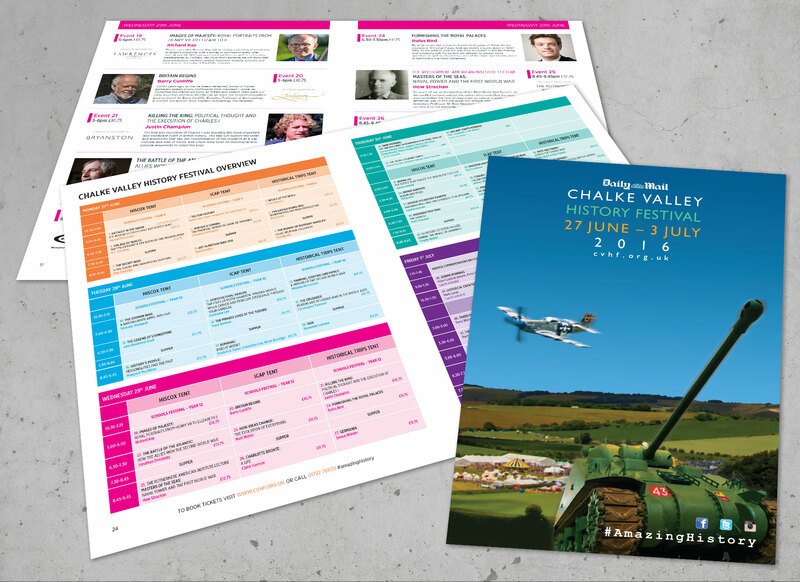 The Chalke Valley History Festival is an annual living history event. We were asked to produced a 48 page programme, flyers, signage, envelopes and also design a promotional 48 sheet billboard.